Do you have a large appliance that will require a major junk removal effort? If it's a refrigerator, you should call a pro! Have you recently upgraded to a new high-tech refrigerator, complete with temperature sensors, a water filtration system, and energy saver technology? That’s fantastic, but what did you do with the old fridge? If it’s still sitting in your garage, it's probably because you know that refrigerator disposal is a challenging task for anyone. Not only are refrigerators one of the heaviest types of appliances, they also need to be disposed of in the proper manner or they can release chemicals that are harmful to the environment. It has been estimated that Roughly nine million refrigerators/freezers, six million window air conditioning units, and nearly one million dehumidifiers are disposed of each year. 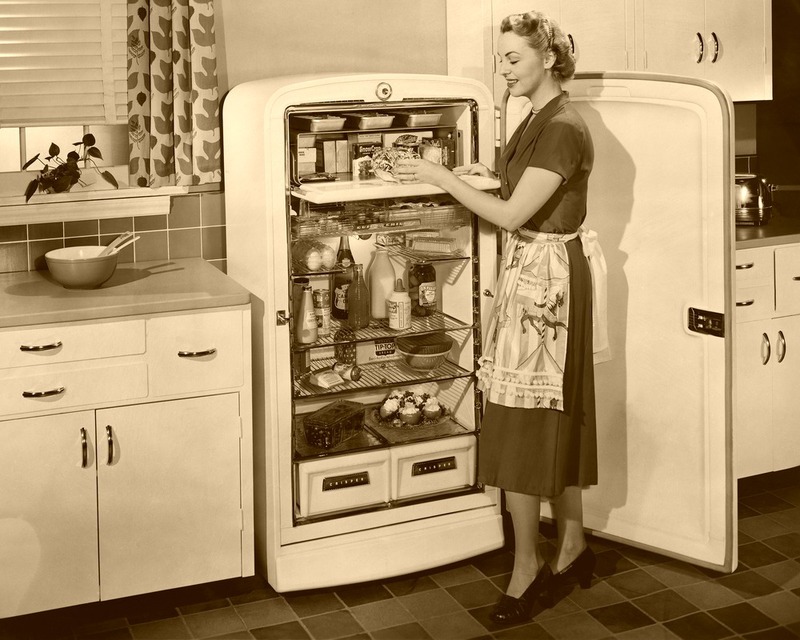 Household refrigerators and freezers manufactured before 1995 typically contain chlorofluorocarbon (CFC) refrigerant. Many window air-conditioning units and dehumidifiers contain hydrochlorofluorocarbon (HCFC) refrigerant. CFCs and HCFCs are ozone-depleting substances (ODS) that, if released into the environment, can destroy the ozone layer. Moreover, CFC and HCFC refrigerants are also potent “greenhouse gases.” Their release may contribute to climate change. Most refrigerators and freezers manufactured since 1995 and window air-conditioning units and dehumidifiers manufactured since 2010 contain ozone-friendly hydrofluorocarbon (HFC) refrigerants. However, these refrigerants still need to be carefully handled because they are also considered greenhouse gases. In addition to refrigerant, refrigerators and freezers manufactured before 2005 are insulated with foam that contains substances that contribute to both ozone depletion and climate change. Only units manufactured since 2005 contain foam blowing agents that are ozone and climate friendly. Air-conditioners and dehumidifiers do not contain foam. Older refrigerators/freezers contain ozone-depleting refrigerants and/or foam blowing agents, depending on the year they were manufactured. In addition to depleting the ozone layer, these substances are also potent greenhouse gases (GHGs) that contribute to climate change when emitted to the atmosphere. While the refrigerants used in newly manufactured units are still potent GHGs, these appliances do not contain ozone depleting substances (ODS) and are significantly more energy efficient than older models. Similarly, window air conditioners and dehumidifiers contain environmentally-harmful refrigerants, and the older units consume significantly more energy than the newer ones. To reduce energy demand, ozone depletion, and global climate impacts, it is critical that older units be permanently removed from the energy grid and properly disposed of so that environmentally-harmful refrigerants and foam blowing agents are captured and recycled or destroyed. Junk King provides an efficient, safe and eco-friendly refrigerator disposal service to make the whole process easy for you. Our experienced refrigerator removal team will have the manpower to haul off that old fridge without damaging any of your home on the way out. We’ll do all the heavy lifting - no need to carry items out to the curb. Finally, we’ll make sure that the refrigerator is disposed of at a proper recycling facility so that it doesn’t do any harm to our ecosystem. Ready to get rid of your old refrigerator? It’s as simple as 1, 2, 3. You make an appointment by booking online above or by calling 1.888.888.JUNK (5865). Our professional and insured refrigerator disposal team will show up at your home or office; we call 15 minutes before we arrive on site and we’ll give you a free estimate based on how much room your items take up in our truck. You point and we haul your old fridge into our junk removal trucks, with no hidden fees.